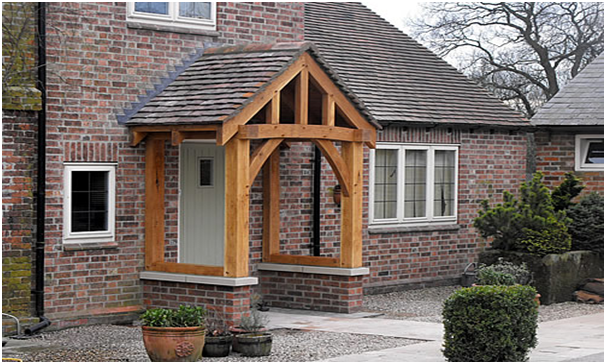 Does a porch need Planning Permission? If a porch isnt bigger than 3 square metres and doesnt sit within 2 metres of a boundary with a highway (such as a footpath) you wont need planning permission for your porch. Exceptions include a structure that contains a toilet or a fuel store or will cover necessary ventilation between the inside and outside of the property. Areas that fall under special conservation regulations might also require permission so its always worth checking with your local planning office to be on the safe side. There are different types of porch and which one is best for you depends a lot on the design of your front door. Recessed doors were popular with Victorian, Edwardian and 1930s housing and these are easy to simply fill in with wood, brickwork or glass to create an attractive porch. Its important to ensure its in keeping with the rest of the property, to enhance it and not detract from it. For those homes with a flat, plain frontage like terraced housing, a canopy is most likely your only option. These are small shelters mounted over the front door. See if there are any other examples in the same street and choose something that fits with the period of the housing.